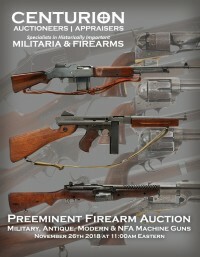 Firearm Auction of Modern, Antique, Military, Class III NFA Machine Guns & Class III NFA Suppressors. 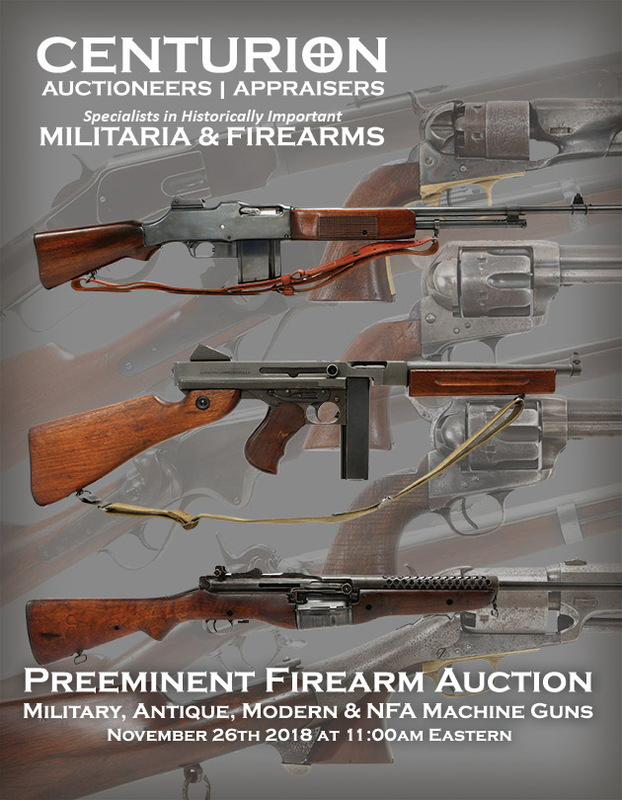 Register & Bid Now in this Exceptional Gun Auction - Buy & Collect Modern, Antique, Military, Class III NFA Machine Guns & Class III NFA Suppressors - Rifles, Pistols, Revolvers, Antique Percussion & Flintlock. Also Optics, Ammunition & Related Firearm Accessories. Pre & Absentee Bidding: Online Firearm Auction Catalog - Register and Pre-Bid Now. Live Auction: Monday November 26th 2018 at 11am Eastern. 730 Lots - Firearms are consigned from estates, individuals, trusts, dealers, and personal firearm collections across the United States.